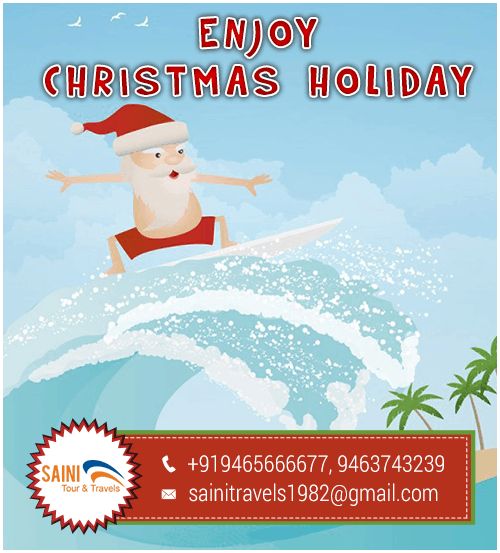 Saini Tour & Travels, Chandigarh wishes you a Merry Christmas. Celebrate this festive Season with your family and friends. Saini Tour and Travels want to be the part of your memorable moments. So book a journey with Saini Tour & Travels and get at least 20% discount on every booking during the Christmas and New Year week. Christmas is famous among Christian communities, but now a day it is celebrated by the people belonging to different cast and religion. People celebrate Christmas with lighting the candles in the church and throwing the party on the occasion and as far as the New Year is concerned, people used to organize a get together tour with their loved ones and welcomes the New Year with great enthusiasm and joy. Saini Tour and Travels aim to make your moments, the most memorable for the lifetime. Reserve a Tempo Traveller from our website or Telephone number. So go ahead and implement your trip ideas, leave all else to us. We will deliver you the stress free and happy rides with our 100% customer satisfaction USP, because we believe in long term relationship with our esteemed customers. Have a Delighted Festive Season!! !